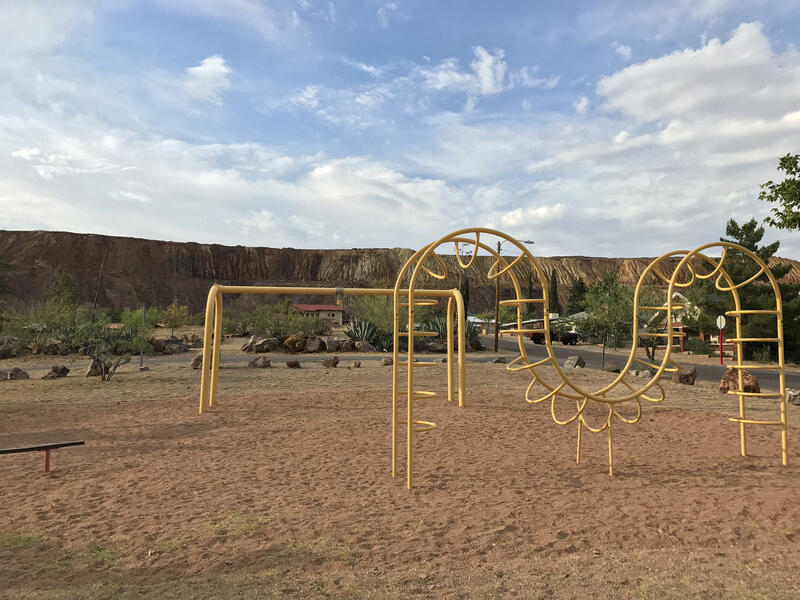 A mountain of mine tailings frame a Bisbee park — a legacy of the copper mines that once fueled the local economy. To help locals get the health care they need, the 14-bed Copper Queen Community Hospital in remote Bisbee, Ariz., has incorporated Mayo Clinic doctors into its practice — via telemedicine consultations. Rural hospitals have relied on foreign-born doctors who work in underserved towns in exchange for green cards, explains James Dickson, CEO of Bisbee's hospital. But that's changing. "They cap the number of visas, and we can't get doctors down here," Dickson says. Gijanto is frustrated and says she and her husband and their two young kids have had to change family doctors four times recently. Ideally, she says, the family would have one doctor who knew each member's medical history, so "I didn't have to explain my chart every single time or have to go over medications all the time with each new physician." It has long been hard to recruit new doctors to rural America. They can make a lot more money in metropolitan areas as specialists, and many choose to do that, especially if they're saddled with mounting debt from student loans. But the shortage, especially of primary care providers, has grown steadily worse in recent years. According to the National Rural Health Association, rural areas could be short 45,000 doctors by 2020. And other trade groups warn those numbers of unfilled positions could loom even larger. Since 2010, more than 70 rural hospitals have closed. The fallout is felt most acutely in small towns like Bisbee, which has a population of 5,400. The Victorian-era town has struggled since the 1970s, when the copper mines closed. Much of its economy now depends on tourists, who come to see the town's well-preserved Old West architecture and scenery and to enjoy the local arts and music. But that income is largely seasonal. Bisbee's full-time population has been steadily declining. Today, says Mayor David Smith, a lot of Bisbee residents are uninsured or rely on Medicaid. And this region has only about half the doctors it needs. "Because of the lack of doctors, they actually end up using the emergency room for their normal needs," Smith says. "They get a bad cold, and they end up in the emergency room." Located in the mountains about 5 miles north of the border between the U.S. and Mexico, Bisbee is remote. Smith says officials have worked hard to improve the town's amenities. Among other things, this summer, the public pool is finally reopening. Still, there is no movie theater. There is only one grocery store left in town and no soccer fields. Little things like these can be a deal-breaker when it comes to recruiting new doctors and other professionals. And though the shortage of doctors all across rural America is a crisis affecting some 90 million Americans, the problem is not even part of the health care debate in Washington right now. "Rural America is a forgotten America," says Smith, who believes the doctor shortage is just part of a broader story of rural neglect. Smith points to the problem of student loan debt. Leaders in towns like this have long called for more generous debt-forgiveness programs for medical students, so that young doctors actually could afford to come to underserved areas. The mayor says there is no sign that this is being addressed by national politicians. They talk about rural America, he says, but when they get here, they realize it's complicated. So they leave and wait until the next election. "Copper from Bisbee, Ariz., is what helped win World War I," Smith says. "And yet, when we are in need, we are forgotten because it's not convenient — and because it's not a whole bunch of people here that are voters." Over at Bisbee's Copper Queen Community Hospital, CEO James Dickson goes further. He sees the doctor shortage as the latest example of why people in towns like this are feeling left behind, untouched by the economic booms in many American cities. It's a likely contributor to the country's growing economic and cultural divide, Dickson says. "They're starting to call the rural areas 'the new inner city' because we have the same shortages and lack of access to care," he says. How do you have a thriving economy if you don't have access to health care? "They can't export a health care system like you all have in [Los Angeles] and other places," Dickson says. "Doctors don't come here. Doctors want a reasonable income, and I don't blame them." Dickson's 14-bed hospital and health clinic sit at the base of a mountain of old mine tailings — a legacy, if a somewhat bitter reminder, of better economic times. Copper Queen is often held up as a success for its low-cost model of high quality, especially when so many other rural hospitals are closing or facing the threat of closure. For now, Copper Queen has been able to get around the shortage of family doctors by incorporating telemedicine into its practice. Patients in need of specialty care or other emergency services can get consultations in real time from physicians at the Mayo Clinic. The hospital also has been able to hire more nurse practitioners and physician assistants. But no one knows whether these coping strategies are sustainable. Dickson thinks there is another big problem, beyond the student loan issue, that is being ignored: a shifting immigration policy that is squeezing off the supply of young physicians from outside the U.S.
"They cap the number of visas, and we can't get doctors down here," Dickson says. Rural hospitals have relied heavily on foreign-born doctors who do residencies in underserved towns in exchange for green cards. The cap means Dickson hasn't been able to recruit a doctor to his hospital or clinic for 18 months. No one is counting on a more liberal immigration policy under the Trump administration. And there is a pervasive sense, in Bisbee anyway, that even if the national government weren't divided, there is only so much national leaders can do to solve the crisis. Just as much of the responsibility lies within the local community, the mayor believes. Small towns like Bisbee that used to be wholly dependent on natural resources have struggled to reinvent themselves. Smith foresees some tough conversations. "A lot of people still think that the mines are going to come back and resurrect this town. And of course that's not going to happen," he says. The mining industry has increasingly focused its business in South America. "Business practices have changed." It has been hard for the economy to diversify, especially in a remote border region like this, Smith says. "And that hurts small towns with vision." 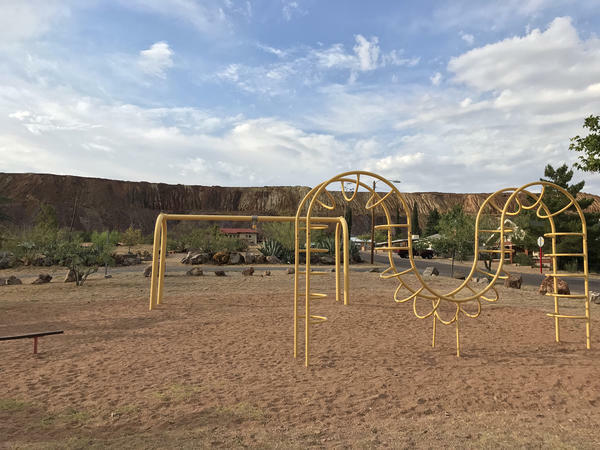 Heather Gijanto, the mother of two who drives many miles to Bisbee for medical care, figures one of the solutions to breathing life into the region is to attract more private investment. She has had the same job at a local Safeway for 14 years because she hasn't been able to find much else. "There's not that much for people here," Gijanto says. "There needs to be more options." More options, she says — and then maybe the doctors will come. For a long time now, it's been hard to recruit new doctors in rural parts of the U.S., and the situation is getting worse. It's projected that there will be a void of about 45,000 family doctors in these areas by the year 2020. Even though it's a crisis affecting some 90 million Americans, this shortage is not part of the health care debate in Washington right now. As NPR's Kirk Siegler reports, people in rural America are taking notice. KIRK SIEGLER, BYLINE: Going to the doctor for Heather Gijanto means taking a day off from work and driving at least 60 miles round trip from her home in McNeal, Ariz., to the town of Bisbee. And that's all assuming there is a primary care doctor here who can see her. HEATHER GIJANTO: You select one doctor, and then you find out a few months later that that doctor is no longer going to be available. So then you have to start the whole process over again. And then you find that doctor, and for whatever reason, that doctor leaves as well. SIEGLER: Gijanto says she and her husband and their two young kids have had to change family doctors four times recently. GIJANTO: I would prefer to have one family doctor that knew our situation, our medical history and I didn't have to explain my chart every single time or have to go over medications all the time with each new physician. SIEGLER: A hassle and a fact of life for most people in rural America where it's hard to find doctors willing to relocate and set up family practices. They can make a lot more money in metropolitan areas as specialists. And many choose to, especially if they're saddled with mounting student loan debt. This has always been a problem, but it's starting to get worse. And the fallout is felt most acutely in small towns like Bisbee, population 5,400. Bisbee has struggled since the '70s when the copper mines closed. Its population has been steadily declining. Today, Mayor David Smith says a lot of people are uninsured or rely on Medicaid. And this border region has only about half the doctors it needs. DAVID SMITH: And because of the lack of doctors, they are actually having - end up using the emergency room for their normal - they get a bad cold, and they show up in the emergency room. SIEGLER: Bisbee is also remote. It's down to one grocery store. There's no movie theater, no soccer fields. And these little things can be a deal-breaker when it comes to recruiting new doctors or other professionals. SMITH: Ice tea sound good? Inside the Double P Roadhouse, the mayor tells me they're working hard to improve the town's recreation and tourism economy. But they can only do so much. SMITH: I think rural America is a forgotten America. SIEGLER: This is a frustration you hear a lot. And it's clear this is as much a story about a doctor shortage as it is one of rural neglect. The mayor points to the problem of student loan debt. Leaders in towns like this have long called for looser debt forgiveness programs for medical students so that young doctors actually could afford to come out to under-served areas and work. The mayor says there's no sign this is being addressed by national politicians. They talk about rural America, he says. But then they realize when they get here it's complicated, and they leave and wait until the next election. SMITH: Copper from Bisbee, Ariz., is what helped win World War I. And yet when we are in need, we are forgotten because it's not convenient and because it's not a whole bunch of people there that necessarily are voters. SIEGLER: Over at the Copper Queen Community Hospital, CEO James Dickson goes further. 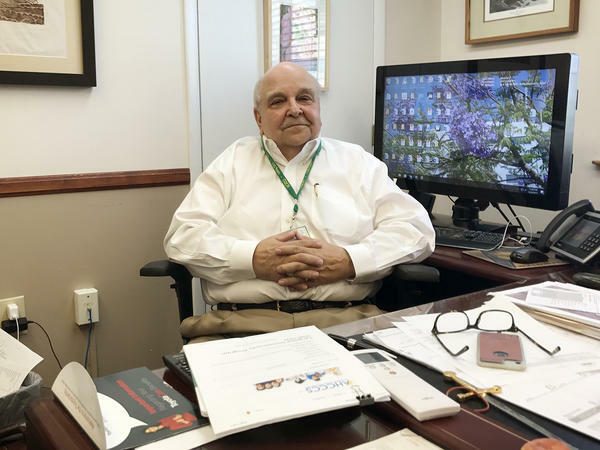 He points to the doctor shortage as the latest example of why people in towns like this are feeling left behind from the booms in many American cities. JAMES DICKSON: What is happening - and they're starting to call the rural areas the new inner-city because we have the same shortages and lack of access to care that has been going on in the inner-city. SIEGLER: How do you have a thriving economy if you don't have access to health care? DICKSON: And they cannot support a health care system like you all have in LA and other places. So doctors don't come here. Doctors want a reasonable income. And I don't blame them. SIEGLER: Dickson's 14-bed hospital and rural health clinic lies at the base of a mountain of old mine tailings - a legacy, if a somewhat bitter reminder of better economic times. 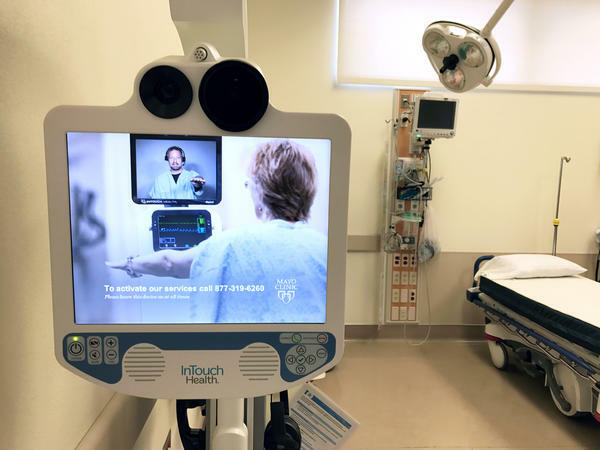 The hospital has gotten around the family doctor shortage by using telemedicine. And they also lean heavily on nurse practitioners and physician's assistants. But this isn't sustainable. Dickson gave me an earful about one other big problem besides the student loan debt issue that he thinks is getting ignored - immigration policy. DICKSON: They cap the number of visas, and we can't get doctors down here. SIEGLER: Rural hospitals have relied heavily on foreign-born doctors who do residencies in under-served towns in exchange for green cards. The cap means Dickson hasn't been able to recruit one here for 18 months. No one is counting on a more liberal immigration policy under the Trump administration. So Heather Gijanto, the patient we met at the beginning of this story, thinks small towns like Bisbee also need to figure out how to revive themselves, attract more private investment. GIJANTO: There's not that much for people here. You know, I've had the same job for 14 years because there's nothing else for me to try to do. There needs to be more options here. SIEGLER: More options, she says, and then maybe the doctors will come. Kirk Siegler, NPR News, Bisbee, Ariz.
(SOUNDBITE OF TIDUS SONG, "GET IT RIGHT") Transcript provided by NPR, Copyright NPR.